Rackspace (s rax) announced Wednesday via a blog post that it will be giving up control over its OpenStack cloud computing project to an indepedent foundation. OpenStack is the open-source cloud computing platform that Rackspace and co-founder NASA began pushing in July 2010 as an alternative to cloud software and services from VMware (s vmw), Amazon Web Services (s amzn) and other providers, but it has been somewhat plagued by concerns over Rackspace’s control of the community. Bryce explained that he sees the current OpenStack model as being an “extreme open method” for licensing code vs what would happen within a foundation. In essence, everyone who contributed code to OpenStack owns the copyright to that code and licenses for use in the OpenStack software, but Rackspace alone doesn’t have the power to move the code into a foundation. 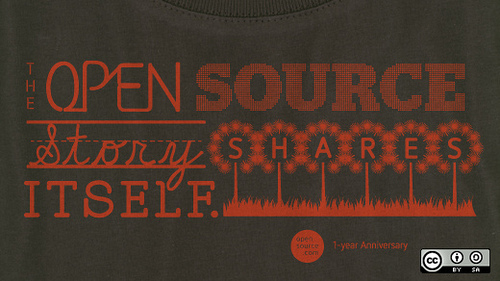 Moving OpenStack to a foundation would inevitably strip contributors owners of the copyright. … For Cactus alone, Bryce said, the code-review team looked at about 5,000 submissions and included code from more than 100 developers. However, it looks like the increased community participation from large vendors such as HP (s hpq), Dell (s dell), Cisco (s csco) and Citrix (s ctxs) might have forced Rackspace’s hand in ceding control over the project to a foundation. They’re aligning large portions of their cloud computing strategies around OpenStack, and they certainly want to ensure that Rackspace’s concerns don’t end up taking precedent of their own, even if only subconsciously. The same probably goes for OpenStack-based startups Nebula such as Nebula, which has some serious backers and a management team that have their own ideas of what’s best for OpenStack. The OpenStack Foundation, slated for establishment next year, has some tough choices ahead of it. One prominent cloud computing customer, Adrian Cockroft of Netflix (s nflx), has suggested that Amazon Web Services has already won the battle of public cloud providers. If he’s right, that doesn’t bode well for Rackspace, HP, Dell and any of the other providers planning OpenStack-based clouds. Some, even within the OpenStack community, have suggested the project accept this to some degree and just adopt the AWS API. I don’t think the situation is too dire for OpenStack, actually — the ever-growing ecosystem appears to be meeting expectations, and founder Rackspace keeps growing its cloud revenues — but there’s clearly work to be done to capitalize on any momentum. Perhaps a foundation is the best way to do it. AWS and VMware aren’t going to let up, so OpenStack doesn’t have a lot of margin for error. How can AWS “win” when anyone is considering failover from it? Isn’t that supposed to be part of the cloud advantage, not having to worry about single point of failure? When there are 110+ vendors “involved” but only 8 of them are contributing code (per OpenStack blog post today)… you have a problem.